So, here is our new nomadic home: it’s tiny but it is everything we want from life! 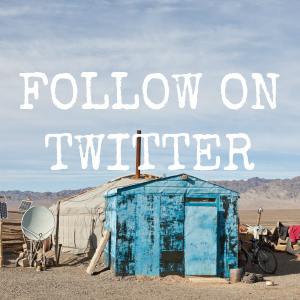 If you’ve been following me for a while, you’ll have seen my old home on wheels, well this is something very different indeed! 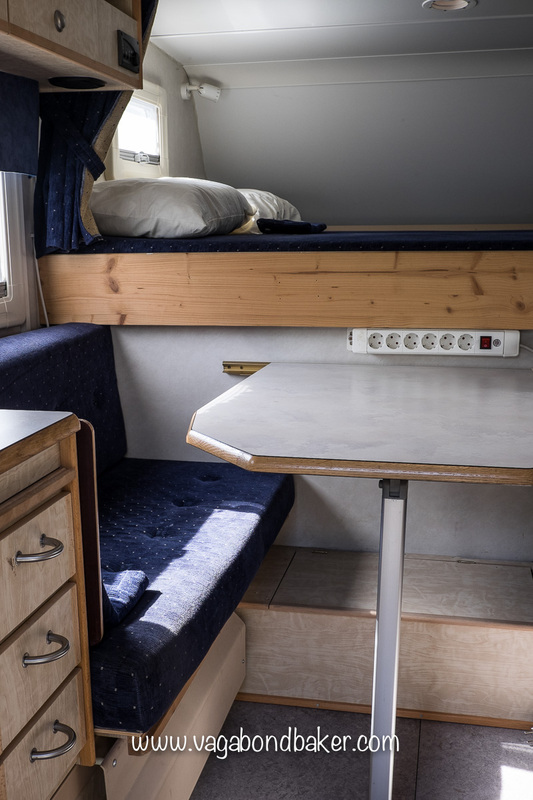 This is a demountable camper, aka truck bed camper. It sits on/in our 4wd pickup, and we will continue to live vagabondly in it. After scrapping our old van last autumn we’ve been looking to replace it, ideally with something much more reliable mechanically and also something much warmer to live in. We went down the well-trodden path of viewing small mobile homes, we wanted a van that was well insulated and still fairly compact in size. Then, during one of Chris’s endless online searches, he came across a demountable camper on Gumtree. Yes, that looked the home for us! 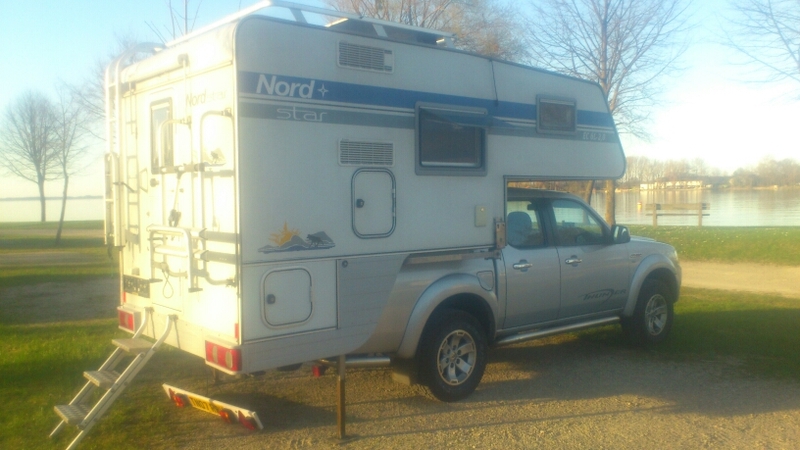 We’d never seen one before (we don’t remember seeing one anyway) and the combination of a 4wd truck and a camper unit we could remove seemed the absolute ideal for the life we lead. That particular vehicle wasn’t right for us, but it gave us a focus for our searching, although it soon became very apparent that this wasn’t going to be easy! Demountable campers, while fairly common over on the continent, haven’t really taken off over here in Blighty yet; they’re a bit of a rarity! For our budget, our only option was to throw our net wider, Europe wider. 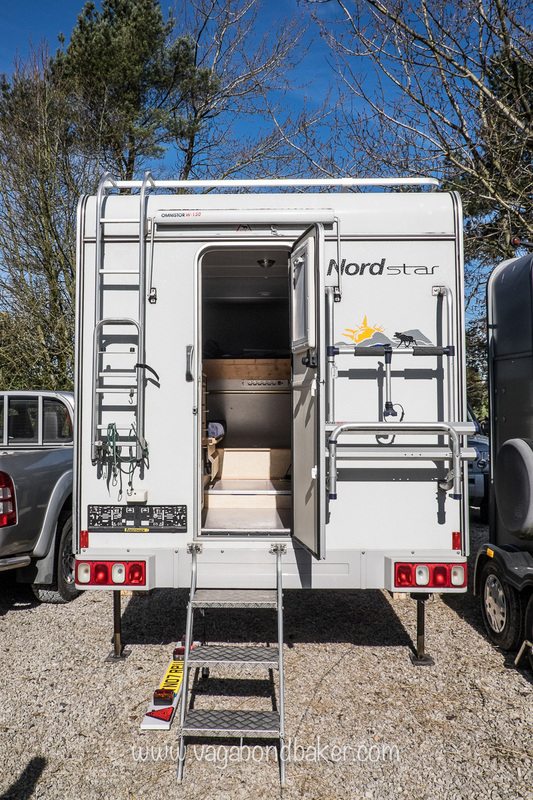 We got even pickier, narrowing down our desired camper unit to two brands, and for our price bracket we wanted a Swedish-built S.Karosser/Nordstar camper because they come with a central heating system that will keep us toasty. 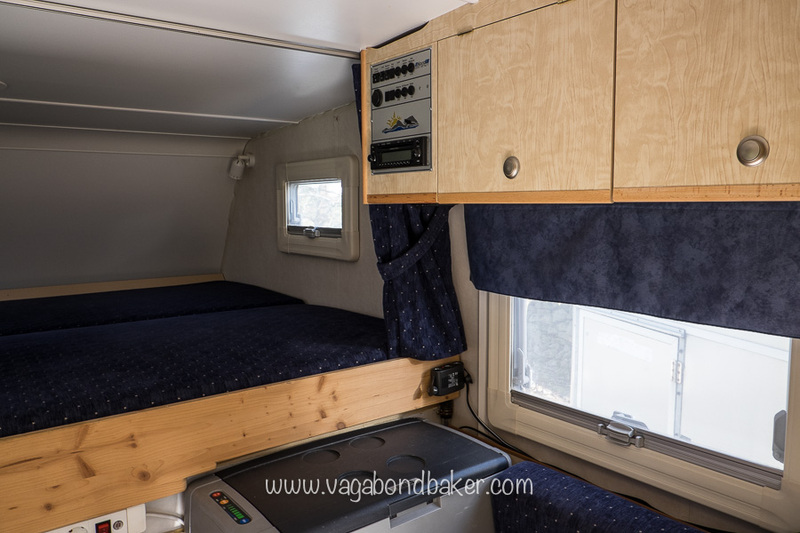 We figured a Swedish camper company would know a bit about keeping warm in the freezing temperatures, our unit is well insulated and the wet (as opposed to air) central heating system should keep us warm in temperatures down to -20ºC. No more shivering in bed during frozen Scottish winters! Chris ended up driving out to Austria to pick one up, purchasing a secondhand S.Karosser/Nordstar from a well-travelled couple in the north-east of the country. 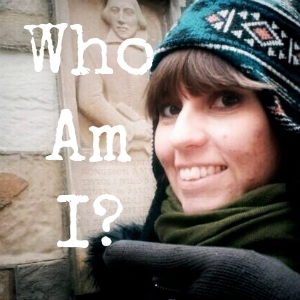 I couldn’t go with him as I was house sitting in Scotland so he went on a boy’s road trip across Europe with a friend. We had to get some bolts fitted to the truck bed beforehand so that the camper could be attached. 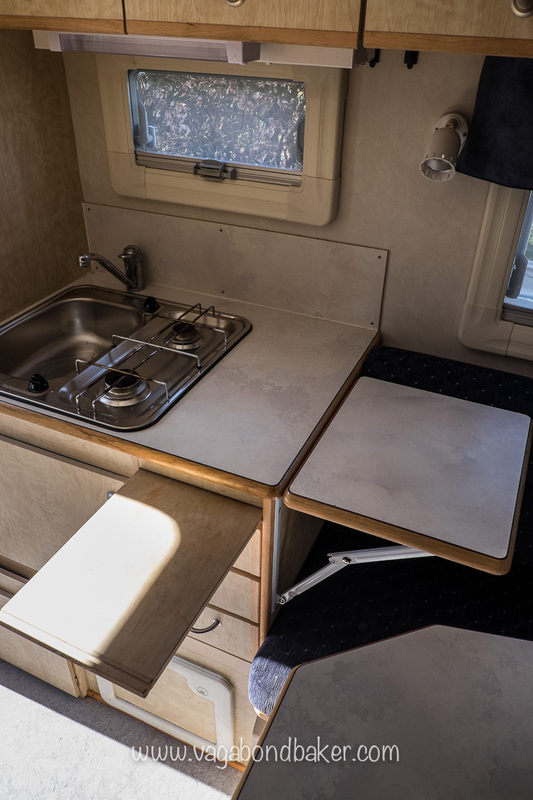 As you can see in the photo above, the demountable camper unit has 4 legs which jack up and down, leaving the camper free-standing when not on the vehicle. 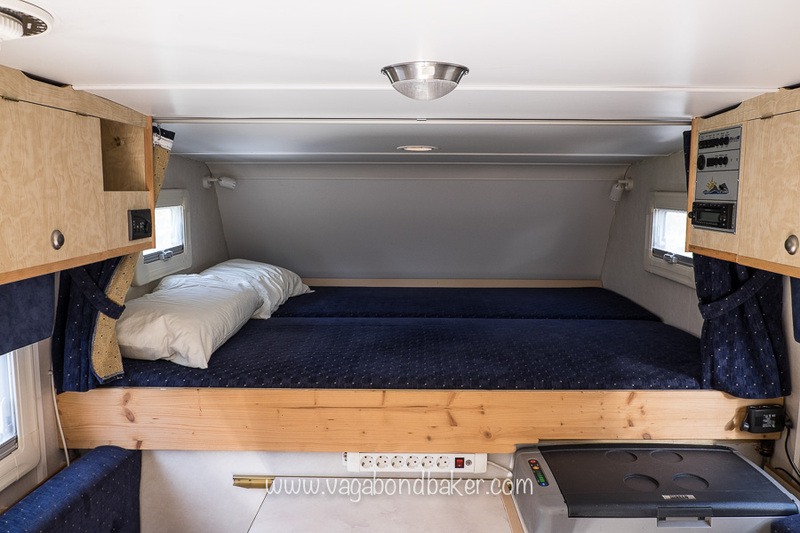 The camper unit can be used/slept in without it being on the truck. On the back we have a bicycle rack and the back door splits in two like a stable door which is a super cute touch! The steps fold up flat onto the door when not in use. Inside there is seating (cosily) for four around a table that can convert to become a second bed. 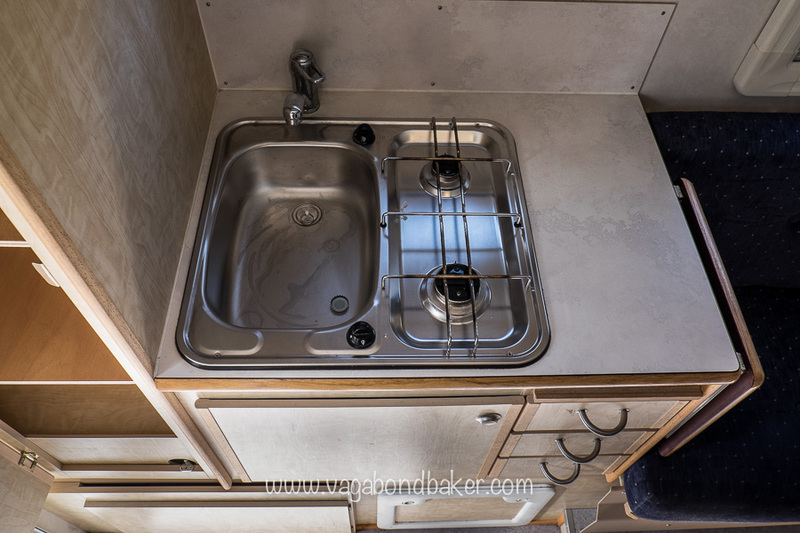 The kitchen area is compact and neat, I have a little sink and a two-ring gas burner, the only thing I will probably miss is a gas grill. It doesn’t come with an oven, my electric toaster oven from out of the old van doesn’t fit in the cupboard under the sink so I won’t have an oven for a while! There is a fold up, extension of the work surface and also a chopping board pulls out for even more space. Around the top, on both sides, there is plenty of cupboard space. The tall cupboard by the door is a wardrobe, I may convert it to hanging space but at the moment it is shelved. 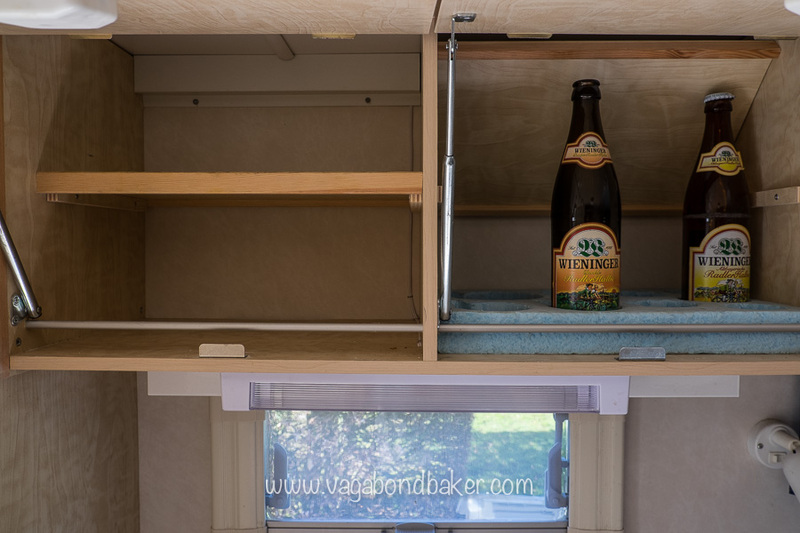 As you can see, the cupboards are well designed for life on the road; the previous owners have made a beer cupboard in one of them! Behind the excellent mirror is a 3 way fridge/freezer, i.e. it can be powered by 12v, 240v and by gas, and under it is yet more cupboard space. 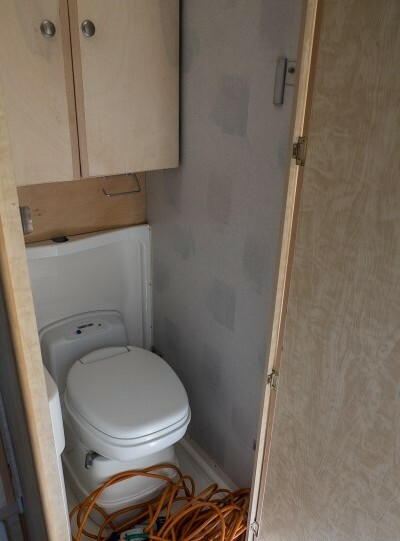 Next to the fridge is a tiny bathroom, it should be a shower room but the previous owners removed the shower and sink and fitted a cupboard, we shall be removing that and returning it to a proper bathroom. Above the pickup cab is the huge double bed, and a curtain pulls across to close the bedroom off from the rest of the room. I love that it has windows! All the windows have integrated blinds and insect screens, and we have an abundance of plug sockets, both 240v for when we’re plugged into the mains and 12v for when we aren’t. There is a solar panel on the roof so on sunny days we should be able to generate a little bit of free power. The plugs are all two pin European sockets but as a well-travelled couple, we have plenty of plug adapters plus all our camera battery chargers are 2 pin anyway! We could of course switch them for British plug sockets but I bet we never do! There are things we do need to change though. 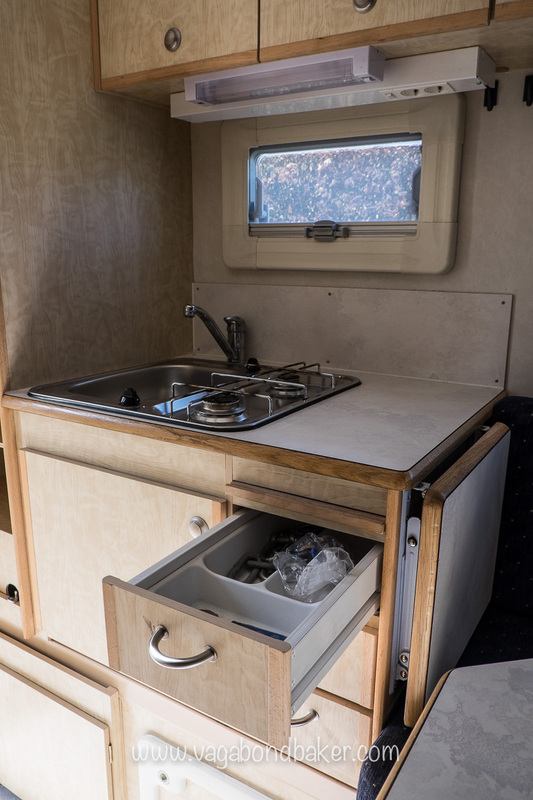 The previous owners fitted a 12v portable freezer on one of the seats, shortening the upholstery: they went on fishing trips so needed to preserve their catch. We definitely don’t need it so we’ll remove it and sell it. We’ll have to replace the seating cushions which could be a bit of a faff. I like the upholstery in general but I’d like to freshen up the look and give it a bit more of a homely feel. I am planning to make a new curtains to close off the bed, then I’ll use the old curtain fabric to extend the cover on the seating that has been shortened, replacing the foam, hopefully it won’t be too noticeable. I’ll use the same new curtain fabric to replace the plain blue valances over the windows in the seating area. The table has a chunk taken out of it for the freezer to fit, we’ll need a new table as it looks a bit untidy. Also, the wood panel on the edge of the bed has been cut for the freezer so we’ll replace that too. Then there is also the bathroom that needs work to get it back to its original full purpose. 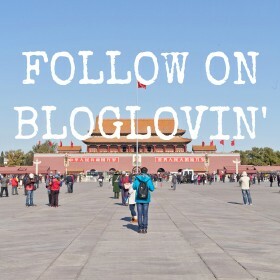 I’ll write another post once the changes have been made, and once we’ve moved in for real! Chris’s first night in it, camped somewhere in Germany on the way back to the UK from Austria. We are currently house sitting, so this should give us time to kit it out. We have to be a lot more thoughtful about what we carry as the weight limit (payload) of the truck has to be considered, no heavy book shelf in this van! I will have to seriously think about what amounts of flour and sugar I can carry too, those ingredients are heavy! Our first camping trip in it will be as soon as we finish this house sit, we are off back to Scotland for a May bank holiday camping weekend with friends. 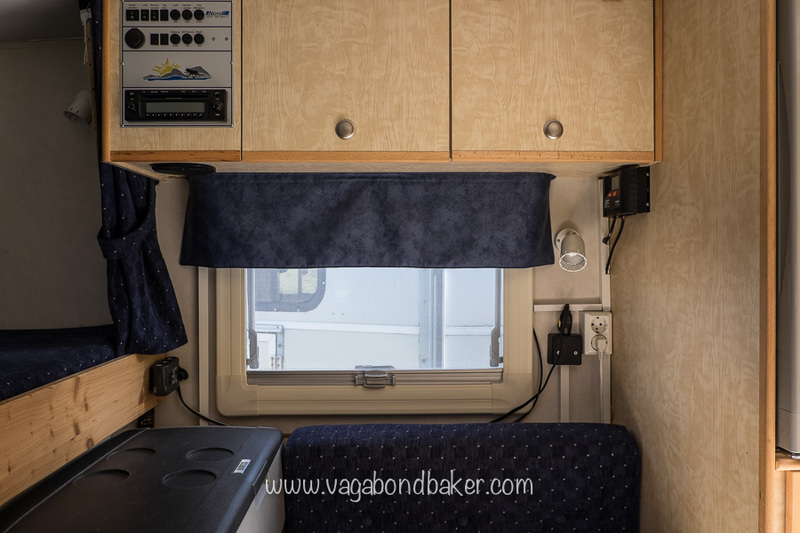 6 Ways I’ve Made My Truck Camper More Homely Changing the look of the interior and tweaking things. 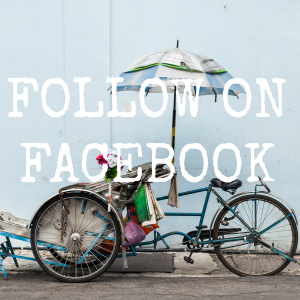 What do you think of our new home on wheels? 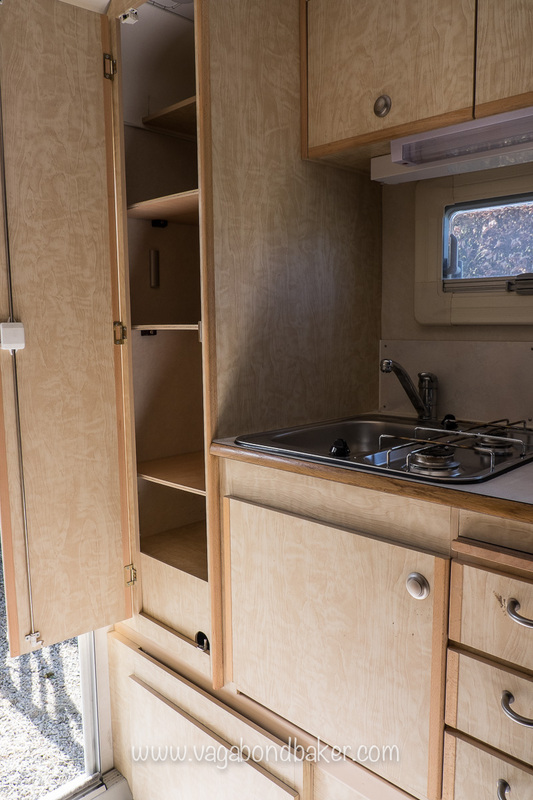 Demountable camper owners, any tips for us? Hi Steve. Wow, 11 years: sounds like you’ve had some great adventures! I’d be interested to hear how feasible it is to get it over to NZ too. 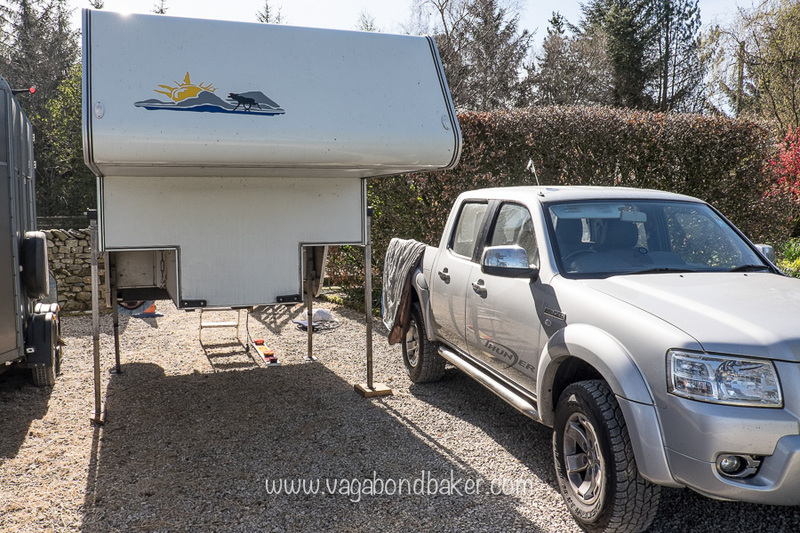 Having the unmounted truck to use when camper is off was the major selling point for us, really useful. Demountables are great. Much better than a motor home for flexibility especially if your sports include boating or off road activities. I did not find the spec I wanted so ended up building one. The motor home channel video shows some aspects of it. Google MHC SO4E19 or Mercer homemade camper to see it. Going into woods & dropping the wind resistance called for a pop up….. But I did not want canvass as we use it most of the year. Hence a folding solid sided pop up system with a full king size bed. I Will charge for a design service but happy to give free advice to anyone wanting to do a similar project.. Awesome, thanks Guy! They are much more flexible, I’m loving it! When you get a camper like this, you definitely are going to want to have a 4wd truck to be the one pulling it. I wish you luck in this live of living in one of these. They are a bit small, but more than big enough for a couple of travelers. Yup, we have a 4wd truck for ours, ours is big enough for us, the bed is huge compared to our old transit camper! Nice idea. Spotted these at the adventure travel show this year. http://www.sbsadventurecampers.com Really comfy inside and built for extended world touring so can cope with extremes of temperature. The body is amazing being much lighter than the others and bombproof too by all accounts. Thanks Seth! I love my S.Karosser, but yes other brands are cool and awesome too. It looks great and lots of room, I want one!! Thanks Anne! It would be perfect for roaming around Australia! How cute is that! Amazing amount of storage too for a small space. It’s definitely got an advantage over a traditional camper in that you can leave it behind on a campsite if you want to go out. Look forward to seeing the final version! Very cute huh! I’m so happy it has so many useful little cupboards, it seems really well thought out. Yes, our old hefty van had to go everywhere we did, it’s so much better that we can leave this behind, and far more fun than a caravan! Thanks Emily! I’m loving it, I can’t wait to get sewing and making it pretty! Iv’e never seem anything like this here in OZ. You would thought a country made for campers, something like this would be popular. It’s great I look forward to seeing it for real at some point, maybe you could drive it over here 😉 I love the idea that you can detach it and leave it. The closest we have and even they are not that common, is the 5th wheeler and they are big. I’m curious when you live in it in the UK where will you park it? 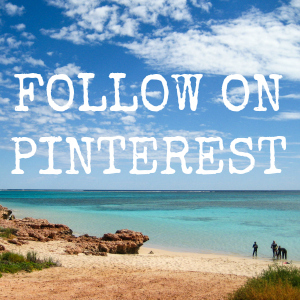 do you stay in camp grounds, caravan parks? Yeah, we saw quite a few 5h wheelers, amazing tent trailers and 4×4’s with tents on our Aussie road trip. This I guess is the dinky European equivalent! We often park it on a friends drive or it’s fairly easy to find wild camping spots in Scotland. 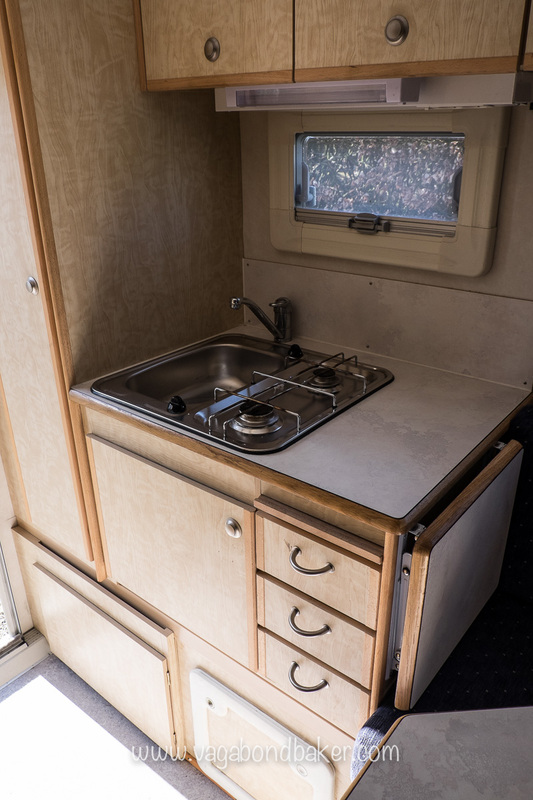 Before, we had to use campgrounds a lot as we weren’t entirely self sufficient, this has a proper bathroom and we can run heating and light on battery/gas/solar so this should give us more freedom.